Who is racing in Boston next Monday? Here are some coll facts i found out about the race:Begun in 1897, inspired by the success of the first modern-day marathon. 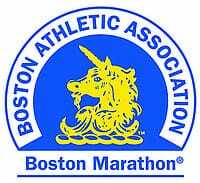 -The Boston Marathon is the world’s oldest annual marathon. -The event now attracts an average of about 20,000 registered participants each year. -Women were not allowed to enter the Boston Marathon officially until 1972. To all of our brave patents from Wasatch Health Solutions and Dr. Tom Fletcher’s office we wish a very fast marathon!! All the training and Active Release Technique sessions have been logged now it’s time to prove your skills. We are so excited to hear all the details at our Murray, Utah office after the race.